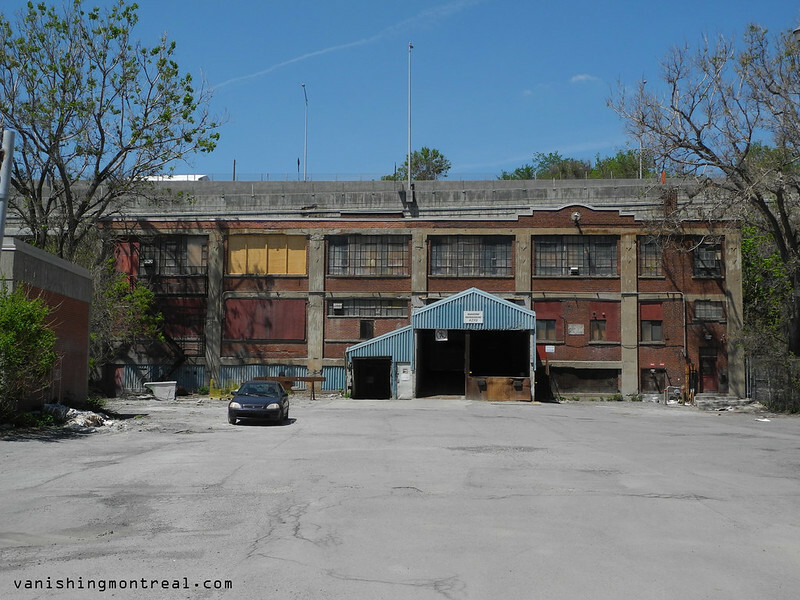 This old warehouse on Richelieu in St-Henri is set to be demolished. When I took this photo there was a security guard in the car telling me not to take photos of the building. I have to return there to see if it's demolished. Cet ancien entrepôt sur Richelieu à St-Henri sera démoli. Quand je pris cette photo il y avait un gardien de sécurité dans la voiture me qui m'interdisait de prendre des photos du bâtiment. Je dois y retourner pour voir s'il est démoli. What right did he have telling you not to take pictures. I would have told him to get stuffed and kept on clicking.